Complimentary breakfast with local products, freshly baked croissants, juices, coffee and cappuccino. Transfer from airports, ports and railway stations. Possibility of information on all restaurants and pizzerias in the area, with free transfer to and from the facility. The Vespa is a timeless Made in Italy brand that can give the memorable charm of the mythical "Roman Holiday". 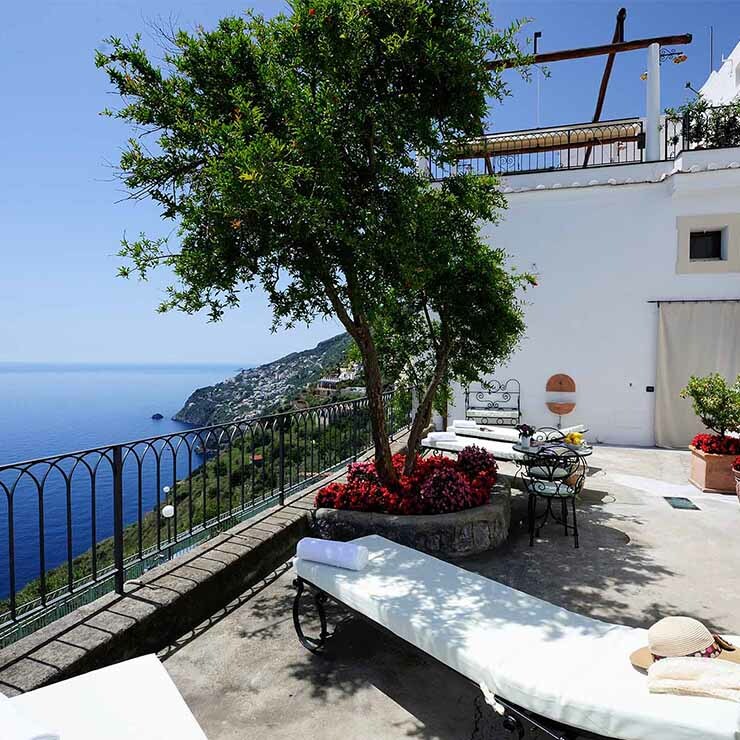 A romantic model, refined and inimitable that La Casa del Melograno offers for weddings and private functions on the Amalfi Coast. Boat rental with or without skipper, private or group excursions on the coast and Capri. 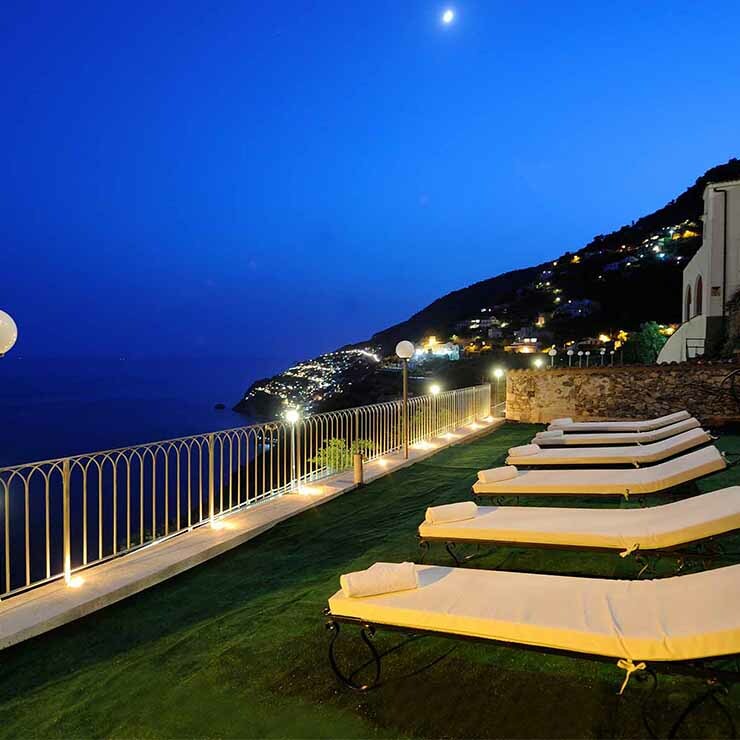 private or group leaders for the entire Amalfi Coast, Pompeii, Naples, Vesuvius, Caserta Royal Palace. For lovers of trekking, the possibility of private or personalized guidance for all the paths of the Amalfi Coast, and Path of the Gods. 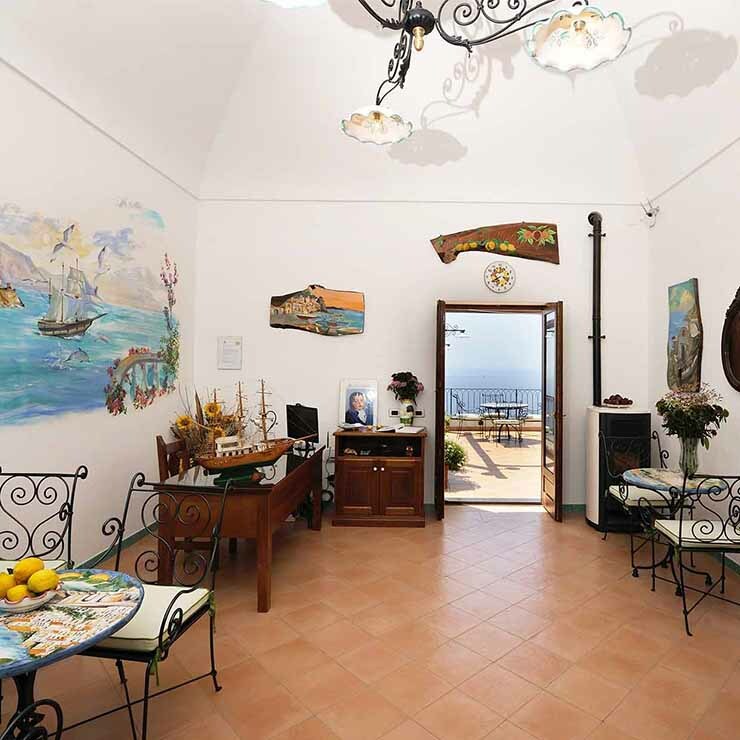 Ability of information of all the cliffs of the Amalfi coast, rental of climbing equipment and instructor. We have Baby Sitter Specialized for Your Every Need. 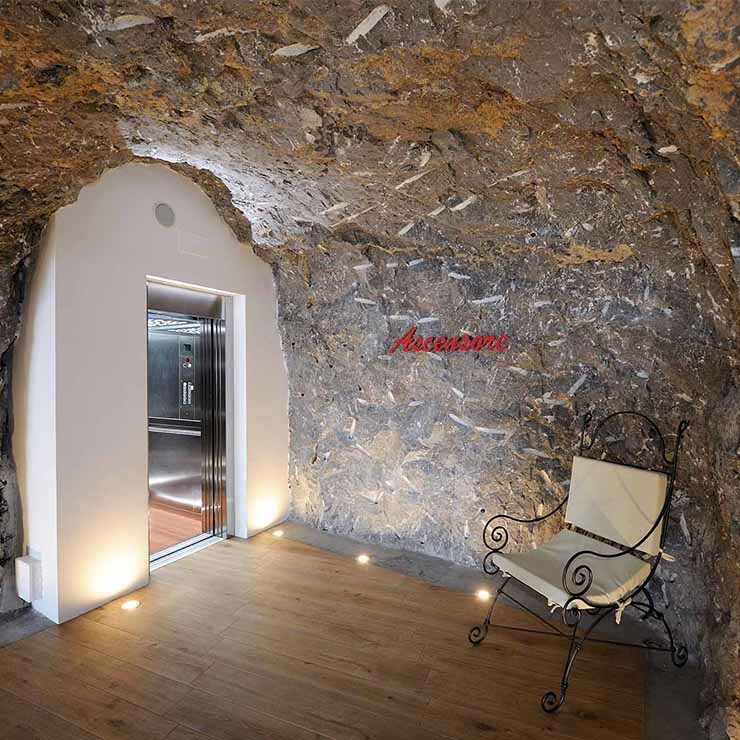 It is a real complete sensory experience in a size that allows you, just inside the door, to match the incomparable images of the landscape, the wonderful scents of the sea and of nature that form the backdrop to this unique place to stay. A stay at Casa del Melograno exceeds expectations: guests keep coming back year after year. These testimonials attest to the lasting memory that each visitor retains within himself. That said, the view from the terrace would be enough to give the highest marks. spotless rooms, great breakfast with homemade products, and gives it that extra Umberto always available to its guests. Really very nice bb, and accurate particolari.Dalla terrace you can 'enjoy a Thanksgiving scene fantastico.Un then to Umberto owner for his advice, for his kindness and availability. 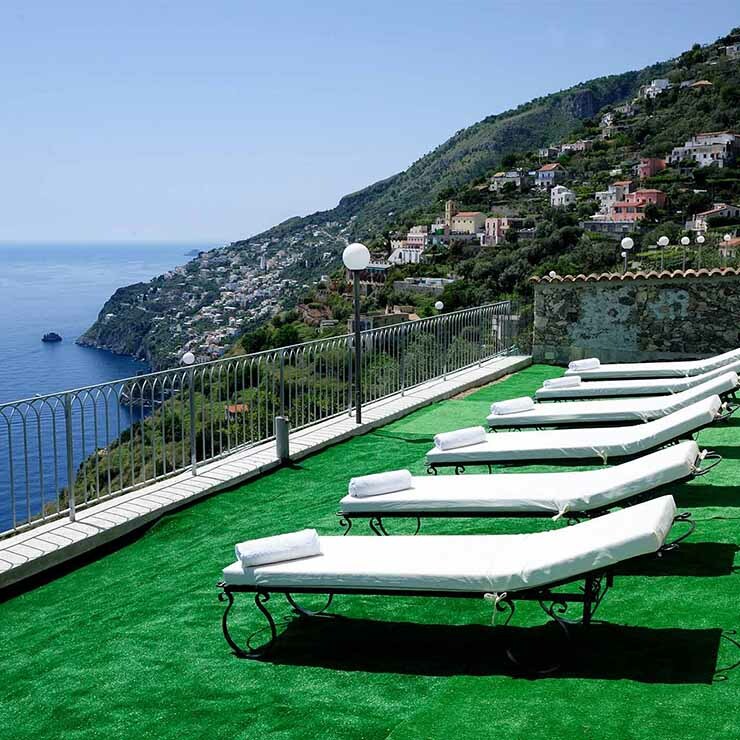 With family just we returned from a wonderful trip three days on the Amalfi Coast and we had the great fortune of staying in bed & breakfast La Casa del Melograno, run by Umberto who care with skill and meticulousness out of the ordinary. We stayed one night in this bed and breakfast really nice, quiet and well finished. clean and well furnished rooms. 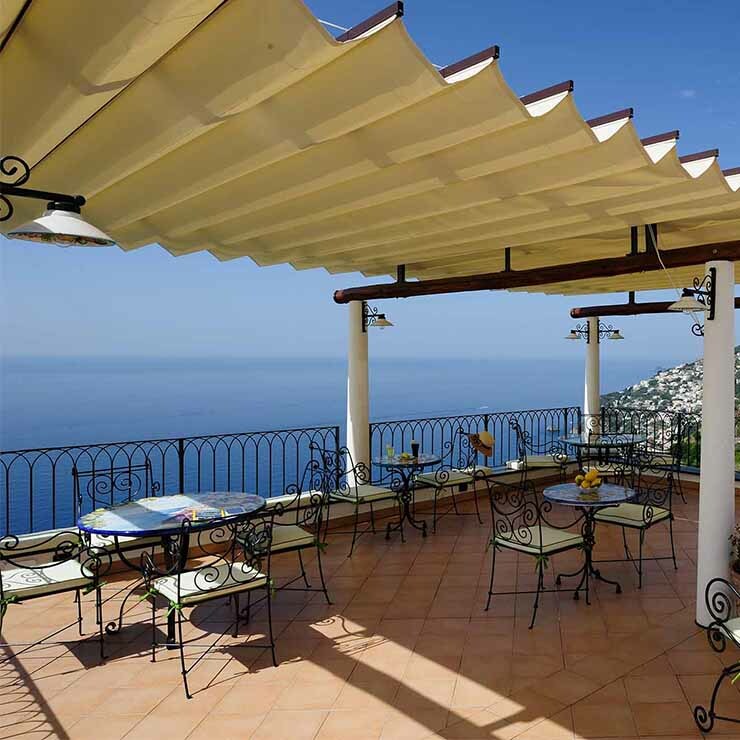 Terrace with stunning views to make a breakfast you will not forget with the excellent homemade croissants. Umberto polite and accommodating. Perfect.